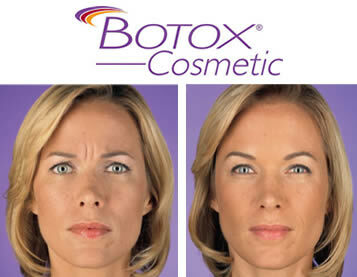 Made from a purified protein, BOTOX® Cosmetic is commonly used to reduce or eliminate the appearance of facial wrinkles by relaxing the muscles and giving the face a rejuvenated look. This product is injected under the skin into areas surrounding the eyes, forehead and mouth to smooth crow's feet, frown and worry lines, and lines on the neck. 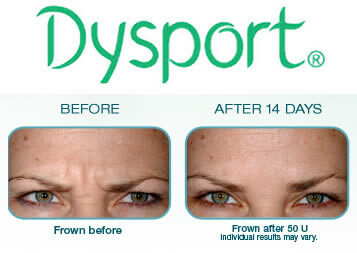 Dysport® is an FDA-approved injection treatment made from the same protein as BOTOX® injections to help reduce the appearance of fine lines and wrinkles in the face. Through injections that take less than 15 minutes to perform in the doctor's office, Dysport produces results that last from 3-5 months, depending on each patient's individual skin. 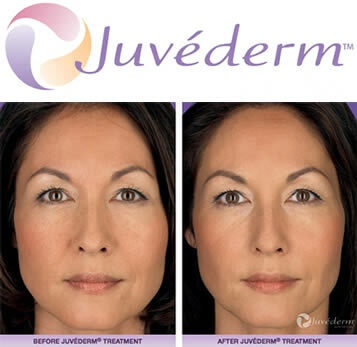 Juvéderm® Injectable Gel is considered the "next generation" of facial fillers, as it gently smoothes wrinkles and folds around the mouth and nose, while restoring a youthful volume to the face. Made of hyaluronic acid, Juvéderm is available in different formulas (Ultra and Ultra Plus) for a more customized treatment that targets different skin depths and allows for correction of moderate to severe wrinkles in the mid- to deep dermis. Juvéderm Voluma is a hyaluronic acid filler specifically designed to restore volume in the cheeks, cheekbones, chin and jawline. Voluma can restore balance to the face by subtly adding volume to areas where this is lacking due to the effects of aging. As the filler is placed deep within the tissues, it adds support to the overlying skin and restore facial contours. Juvéderm VOLUMA with Lidocaine was developed with VYCROSS™ technology to deliver a natural look and feel, with results proven to last up to 18 months. Shortly after treatment with Juvéderm VOLUMA with Lidocaine, you should notice that your facial contours appear fuller and rounder, giving your face a softer, more youthful appearance. Restylane® and Lyft® are clear, synthetic gels made with purified hyaluronic acid, which works with collagen to support the skin and keep it smooth and supple. These products are FDA-approved for the treatment of moderate to severe folds and wrinkles on the face, and are especially effective in treating the nasolabial folds, the lines that stretch from the nose to the sides of the mouth. Sculptra is the first facial injectable made from poly-L-lactic acid that gives you subtle results over time by replacing lost collagen. 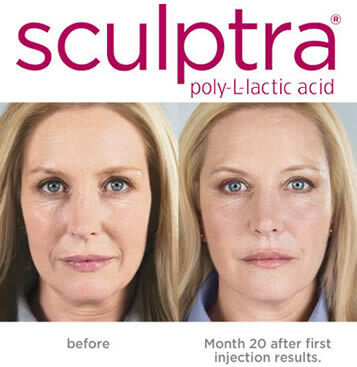 Sculptra helps to correct shallow to deep nasolabial folds (smile lines) and other facial wrinkles by replacing collagen lost during the aging process. On average, three to four treatment sessions over a few months are required to achieve best results. Because Sculptra Aesthetic works gradually, you'll have a more youthful appearance without looking like you had work done. Sculptra is easy and relatively painless to inject, requiring just topical or local anesthesia. It is especially useful in correcting deep nasolabial folds around the mouth and hollows in the cheeks, temples and under the eyes. Sculptra can also be effective in other areas, such as the back of the hands. Cheek jowls may be improved as well, due to skin tightening.